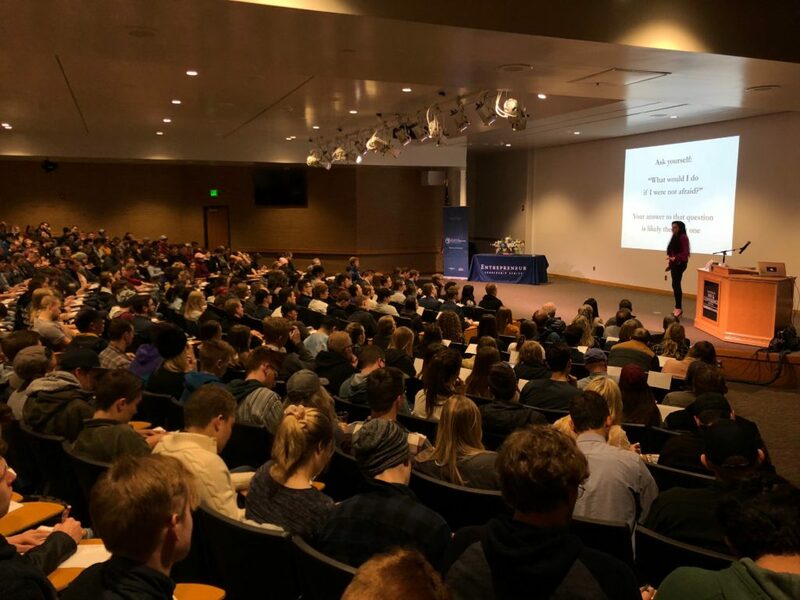 Tonight I had the privilege of being the very first speaker for this year’s annual Entrepreneurial Leadership Series up at Utah State University (hosted by the Huntsman School of Business) for around 400 students. USU holds a special place in my heart because my grandfather was a graduate there and he later taught there as well. And the current Dean Doug Anderson was close to my other grandfather. 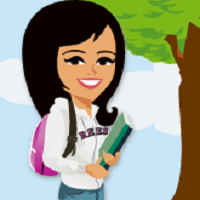 So I feel a special bond with that University. 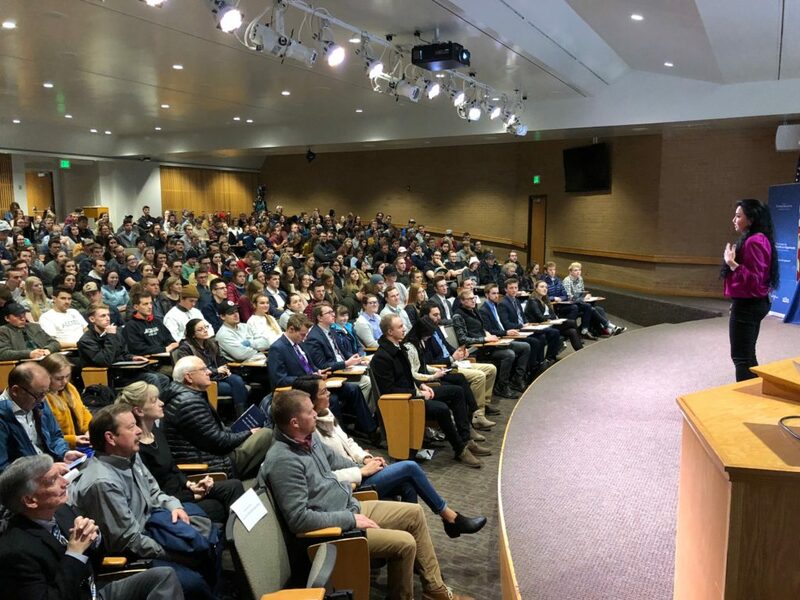 Which made it fitting that this is where I would hold my very first book signing ever…and what an amazing experience the students at USU made it for me tonight. Those students will never know just how much they touched my life tonight. It’s scary putting yourself out there by writing a book and you can’t help but wonder if anyone is even going to be interested in reading it, especially in a day and age where reading books has become much a thing of the past for their generation – its all video and podcasts now. But seeing those students be so excited to read it proved to me that all the hard work and time and effort it took to write the book was worth it because if even one of their lives is helped by the lessons I shared in the book then I’m glad I did it. 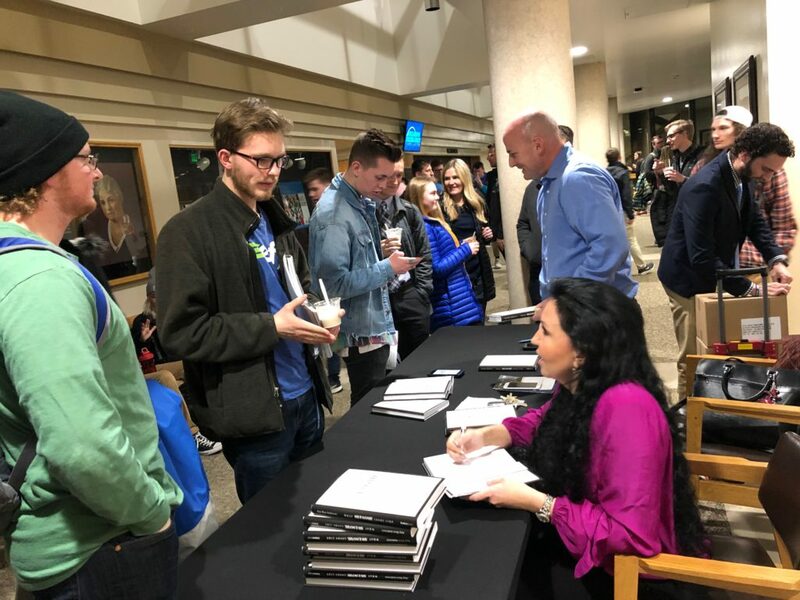 I have a feeling my two grandfathers were smiling down from heaven tonight knowing I chose that particular University as the place I chose to pre-launch my book and do my very first book signing ever. 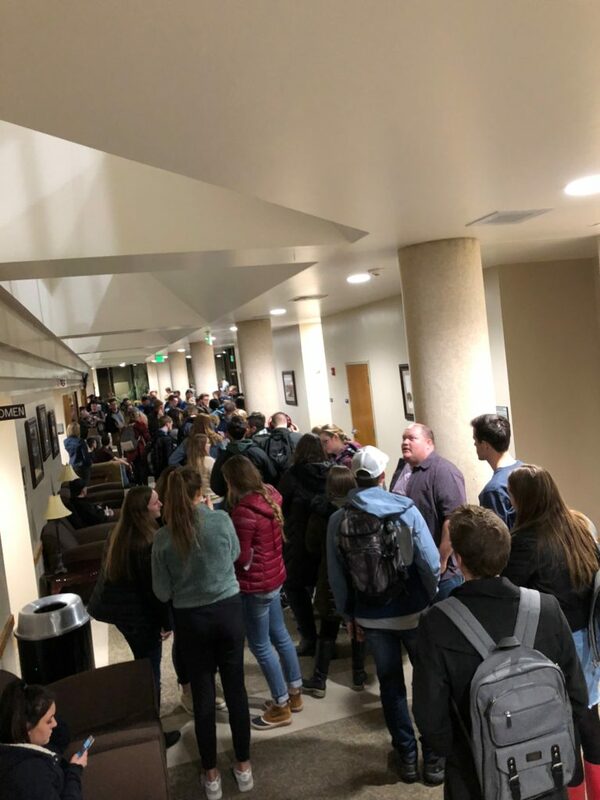 Grandpa Pearson because he went to USU, and Grandpa Rees because he loved USU’s Dean and he loved ice-cream more than life and it’s a well-known fact that USU’s Aggie ice cream is the best in the world so I know he would have loved that they served ice cream while I signed books tonight. You probably already know but the last two blog posts are the same just titled differently, both show the same date as well. Am i missing something here? Glad your book signing went well! You continually amaze and inspire me! Love you!! !